Bowls is one of Britain’s oldest sports, first recorded in the 13th century and played on thousands of greens spread across the nation, several of them hundreds of years old. 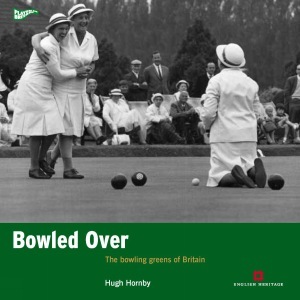 In Bowled Over, bowls historian Hugh Hornby traces the history of the game and its central place in British culture – from Sir Francis Drake and Charles I to the pristine suburban clubs of 21st century Britain and the indoor greens of modern holiday camps. He explains how different codes of bowling have emerged since Elizabethan times in different parts of the country; for example crown green bowls in Lancashire and Yorkshire, with its undulating greens, professional competitions and gambling culture, and flat green or rink bowls in southern England and Scotland, with its measured formality and amateur ethos. Profusely illustrated with specially commissioned mapping, Bowled Over is the first study of this kind ever undertaken and in the spirit of the Played in Britain series overall brings to life a popular, yet little understood national pastime. 3. What is a bowling green? ... this lavishly illustrated text, describes the development of the game in all its forms, in tandem with detailing the histories of many of its clubs and their playing arenas. This is by no means an easy task and the author is to be commended not only for the detail embedded within the narrative but also for the structure of the text, which takes the reader through the background of the sport and its associated organisations and spaces in a logical and easy to follow order. ... a publication that adds considerably to the literature on the creation of playing spaces for sport and one that highlights the ongoing importance of bowls as an activity for all classes and ages. ... Readers of any persuasion, particularly those with interest in sports and leisure history or social history, will surely find something to stimulate and inform them within this engaging and well-written text.